Just before today's promise in verse 35, the Apostle Paul talks about some of the hardships that can come against the beloved of the Lord... Who shall separate us from the love of Christ? Could oppression, or anguish, or persecution, or famine, or nakedness, or peril, or sword? (WEB) He responds to this question by making the declaration that is the inspiration for today's promise! Even in the midst of all these things, we are more than conquerors through the love that God has poured out into our hearts through Jesus Christ. 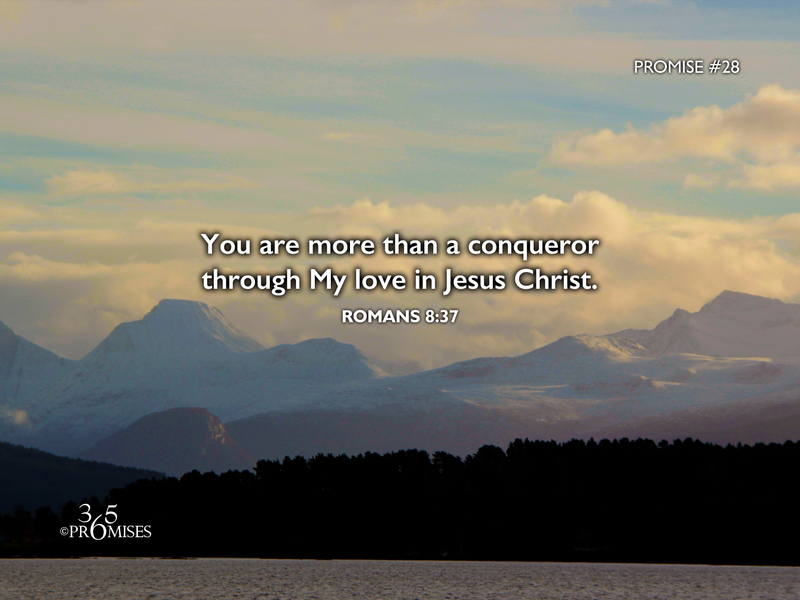 We are not just conquerors, we are MORE than conquerors because of His amazing love! No matter what challenges you are facing today, God's love will conquer every trial and tribulation. There is nothing in all eternity that is able to separate you from His amazing, unconditional, everlasting love.